Marine archaeologist Jack Howard and his friend Costas undertake one of the most perilous dives of their lives, hunting for Nazi gold. 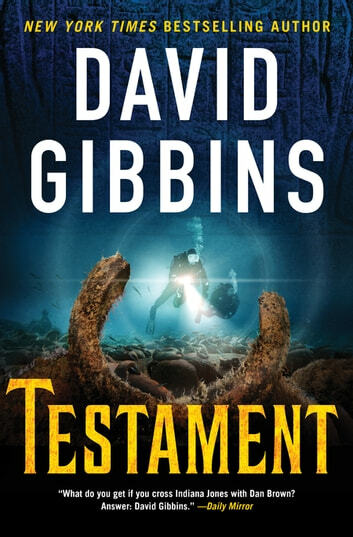 What they glimpse there, before a cataclysm that nearly destroys them, sets Jack on one of the most extraordinary trails he has ever followed—to a Phoenician shipwreck off England, to a WWII codebreaker with an amazing story to tell, to the ruins of ancient Carthage. He pieces together the truth of one of the greatest ancient voyages of discovery, one whose true purpose he could scarcely have imagined. Testament is the latest in the Jack Howard series from David Gibbins, who uses his real world experience as an archaeologist to write thrilling historical novels.